Ahoy there! 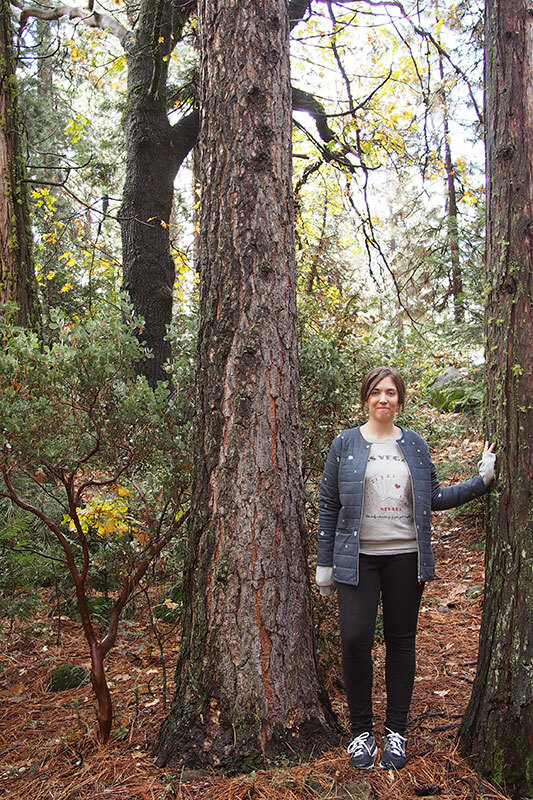 I’m on my travels again, currently in beautiful Yosemite, California (via fabulous Las Vegas, as my sweatshirt attests). 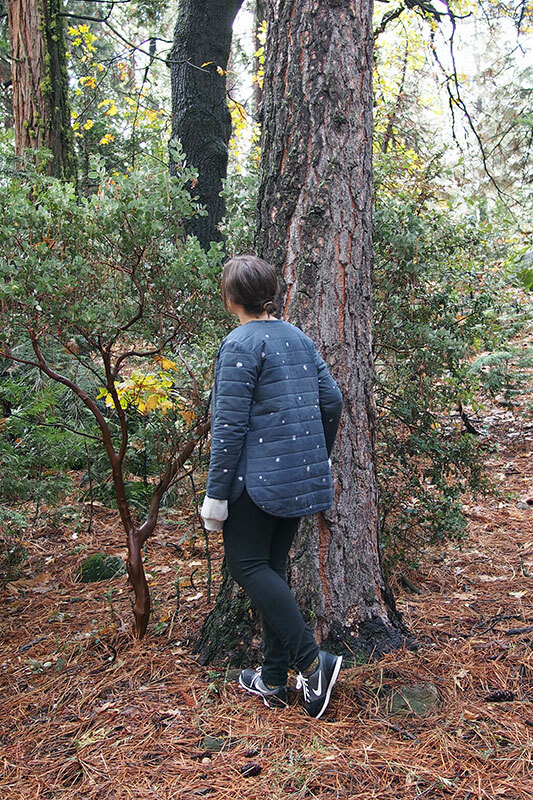 It seemed an appropriate place to grab some photos of my new coat since its namesake tree can be spotted here. 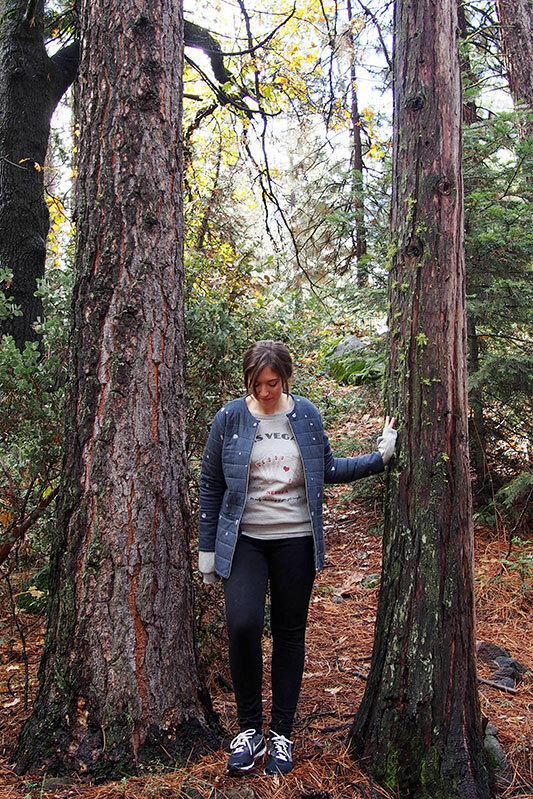 Yup, it’s a Grainline Studio Tamarack jacket which ended up being my Slow Fashion October make. 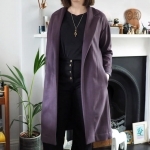 As you might recall I basically had a design idea for my dream coat fully formed in my brain a while ago, then Jen went and released this pattern that was basically it, so I could change tack and get sewing quite rapidly. Just in time to finish it for my holiday, handily enough. The other funny thing is that for a slow fashion project, the Tamarack is actually a pretty speedy make. Three main pattern pieces, no facings, no bagging: my sort of coat project. Obviously there’s all the quilting and binding to do, but those happen to be amongst my favourite sewing tasks so it was all good and extremely enjoyable to make. I used a Nari Iro double gauze for my outer fabric, and it’s lined in a thickish viscose twill. There’s Vilene fusible batting inside the layers, both to make quilting easier and to add strength to the double gauze. The resulting fabric is just the right level of cosiness for me, and saw off a bit of chilliness and drizzle on our hike today no worries. The pattern suggests hook and eye front fastenings, but I switched them out for a zip. 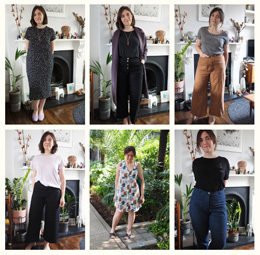 There seemed to be a fair bit of interest in how to do this on my Instagram sneak peeks, and honestly it’s really easy (although there are probably better ways to do it than I did). I just bound the neck and hem separately, then finished the raw front edge with the overlocker, pressed it back about 1cm and topstitched the zip in. If you were feeling fancy you could bind the loose seam allowance and zip tape edges together and slip stitch it to the lining (I might go back and do that) or try to add an underlap fly shield. I used a 24″ metal open ended zip, but because I lengthened the pattern I think 22″ would fit the pattern as drafted. Sorry I didn’t get any pics of it fastened but it basically fits nice and slim. – I did a quick toile in my usual Grainline size (4 shoulder graded to 8 hip) and found the fit perfect. I just added two inches at the lengthen-shorten line for more of a bum-covering coat length. Bear in mind your finished jacket will feel slimmer than the toile due to the thicker quilted fabric. Also try the toile on with what you intend to wear underneath the finished jacket, ie a cardigan or sweater, to check there’s enough ease. – Essential tools of the trade for painless quilting: walking foot, basting glue (way way better than pins), gridded cutting mat, chaco chalk pen, clear gridded ruler. 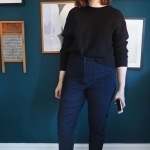 There are some good tips in the pattern and on the Grainline blog too. I used a walking foot for nearly all the construction, bumping the stitch length up to about 2.8. It only took an evening to get all the quilting done, and another for the main construction. 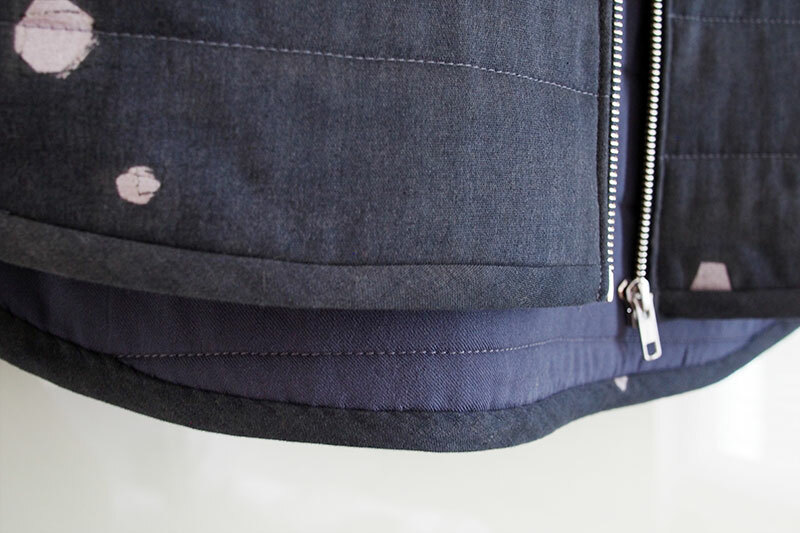 – The welt pockets give the project a bit of meaty interest. I was so worried about doing them into the quilted double gauze that I nearly did patch or side seam pockets instead, but I’m glad I went for it. Jen’s instructions are the best I have tried, particularly as you end up with all the raw edges nicely concealed inside. – I bound all the seams inside but it’s really not my finest work – a bit patchy and sloppy. Sorry, slow fashion spirit. But I did handsew all the bias edgings down inside – way easier and faster than doing neat ditch-stitching. All in all I’m super pleased with my new coat and reckon it’ll see me through all but the coldest bits of winter. It definitely won’t be the last time I pick up the Tamarack pattern as I think it’d make a great coat block for design modifications. Your jacket turned out beautifully! I love the zip addition. It’s perfectly snuggly for a fall day. At first I thought there was snow falling in front of you, then I realized it was the fabric print! Hehe, I should have got a photo actually in the snow higher up in the hills! IT’s shiny silver in real life. Its lovely Katie! I love the addition of the zip. I so badly wanted this same fabric for my Tamarack, but it was just too expensive to get shipped to NZ. It looks gorgeous though! The fabric was an indulgence for me too but I thought it was perfect. I love this! Excellent fabric choice. And adding the zip is a great idea- very practical. I may copy you on that one! Look forward to seeing yours – the zip’s an easy addition. Beautiful! That Nani Iro fabric is just the ultimate. The whole thing looks so beautifully done. I like the idea of modifying the Tamarack, it is indeed such a good basic shape. I’m going to store that thought away in the back of my head. Enjoy the rest of your trip! 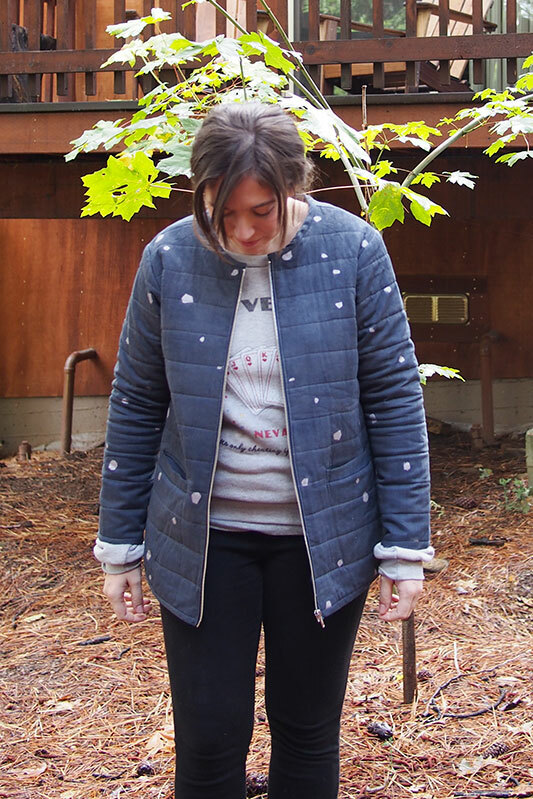 Your Tamarack jacket looks lovely and cosy. 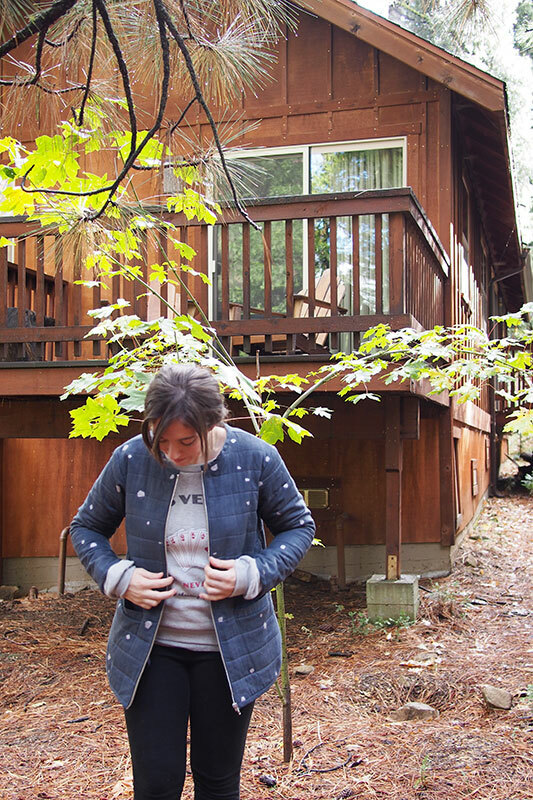 Perfect attire for Yosemite. I love Yosemite and spent part of my honeymoon there – magnificent scenery. You did a great job with the quilting. It was stunning, and we were very lucky with the weather. I wouldn’t have thought of double gauze as an outerwear fabric, but this turned out lovely! I hope it holds up OK as it’s sort of delicate, fingers crossed. 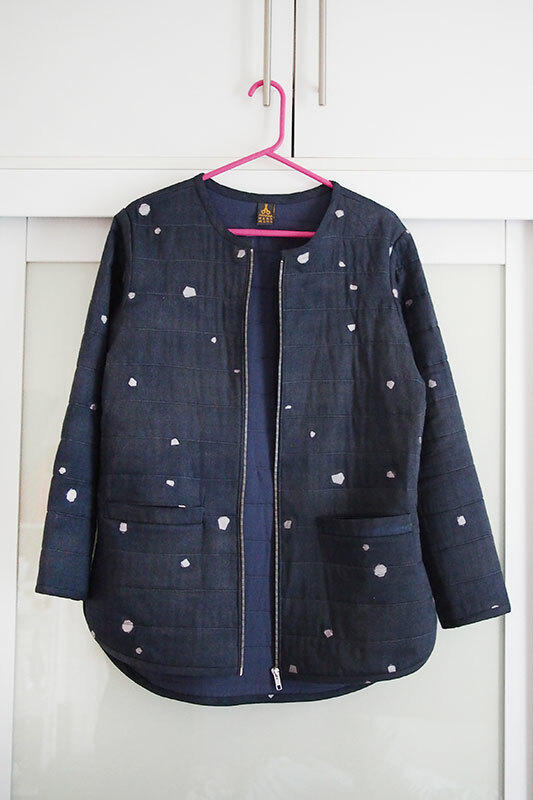 Gorgeous jacket and lovely fabric choice. The finishing looks very neat to me! Good call on the zip. This is just so good! I love how you added the zipper. I’d like to try that too. You did a wonderful job (as usual)! Thank you! The zip’s an easy addition. This looks fantastic Katie! Very you! I love that you added the zip too. Hope you are having a lovely trip and I hope you get some fabric shopping in too! Loooove. fantastic job, I love everything about this. And the print is great – not quite a plain solid, but not something crazy that’s going to keep you from wearing it with everything. What a great jacket! It looks very cosy & the fabric is perfect. You gotta love Nani Iro! I hope the fabric doesn’t wear out too quickly! Ohhh, that fabric! Excellent choice! Do you have any pattern modifications in mind for the future? Yes! I want to do a grey with black sleeve longer line version, sort of letterman style, pretty soon. Great coat Katie! The fabric is lovely and I really like the idea of using a zip instead of hooks and eyes. Also, the scenery in your photos is stunning – I’ve never been to Yosemite but would love to visit there one day. 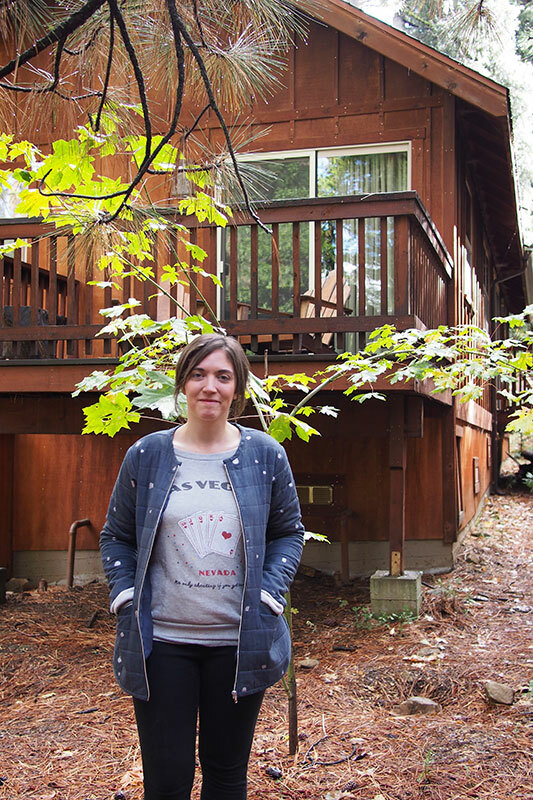 This is just our lodge, Yosemite proper was even better! Great coat! I love your fabric choice, its so fun. Thanks! I love the subtle silver sparkle in real life. I really like the jacket well sewed! Love the fabric and love your addition of a zip Katie! This is so you and must be so wearable too. Love this. Very tempted by this pattern although not sure if it would be too complicated for me as I am still a bit of a novice! Whenever I read Yosemite my brain rhymes it with Vegemite. I think I even said that out loud once – ahem – of course I *know* how to pronounce it! It rhymes with Yeti. Oh and what a great location to take photos of the new jacket. I’ve sewn up the Purl Bee quilted vest and always wanted to put sleeves on it, but now I can skip the headache. Yours is lovely. It’s a beautiful jacket! Great fabric choice, and I really like how it looks with the zipper. I was thinking of making a Tamarack Jacket but was put off by the fabric requirements. Since I don’t need the inside fabric to be fancy I would be interested in how much of the outer fabric I would need. Do you remember how much of the nani iro you used? Hi Susann, I used either 2 or 2.5 metres of the narrow (44″) Nani Iro fabric and just barely squeezed the outer pieces and bias binding on. I think Jen did mention on the Grainline blog about fabric requirements when excluding the lining. That is such a beautiful jacket. I have been thinking of sewing that myself. Great fabric and it fits you great! I, too, want to use either my Nani Iro, Kokka, or Kobayashi double gauze. Do you think I can do it without using fusible batting? Should I use a light woven interfacing? I’m the smallest size, save for a 2″ FBA. I have 2.5 YARDS of the double gauze; will that work, you think? Did you use double gauze as the binding? If so, was it hard to do? Did it press well? Did you use a bias maker? Interfacing might be useful, though it depends on the weight of batting you use, and if you want a bit more structure or a squashier finish. I think I had the same amount of fabric and I could squish my size on – disregarding the layplan and getting quite creative with where to cut the binding from! But yes, it should be enough. The dual feed should mimic the walking foot’s effect, but I would still say go slow and take the time to baste and handstitch where necessary – it was quicker overall for me to handsew the binding rather than risk needing to pull it all out!